As is true with any health care, it’s important to find a doctor who is qualified to treat you. With eye care, you may be able to get an eye exam from a large number of practitioners. If you need to confirm a diagnosis, treat an eye disease, or have other unique needs like a pediatric or geriatric specialty, you will have to spend more time choosing the right eye doctor. No matter what your current vision situation is, it’s crucial to choose the right eye doctor for you and your family. What is an Optometrist, Ophthalmologist, or Optician? Many people use the term “eye doctor” to refer to the qualified individual who administers your eye exam and writes you a prescription for lenses to correct your refractive error. We know just how many distinctions there are between eye care professionals, however! Most people who want to see an eye doctor will seek an optometrist. An optometrist holds a Doctor of Optometry (OD) degree and can examine eyes for vision or health ailments, visual acuity or refractive errors, and can prescribe eyeglasses or contact lenses. Some optometrists also provide additional services, like vision therapy and care plans for people with low vision. An ophthalmologist is a medical doctor or osteopathic doctor who specializes in the eye. They can also perform eye exams, but they are more often used to diagnose and treat eye diseases, prescribe medications, and perform eye surgery. 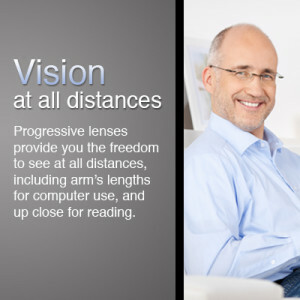 They are able to write prescriptions for eyeglasses and contacts, too. Another term that people sometimes hear and may not know what the occupation entails is “optician.” An optician is not a doctor. These professionals are qualified to use prescriptions written by an eye doctor to help fit you for eyewear and explain use, care, and features of your glasses or contacts. This depends on your vision and eye health. If you have not had problems with your eyes beyond typical blurriness at certain distances, and if you’re not concerned about risks of eye disease or more serious symptoms, generally you are fine to see an optometrist. If you aren’t sure and you see an optometrist, he or she will let you know if you need to seek treatment from an ophthalmologist. How do I pick a good eye doctor? This is up to you! Some people like to look at social media pages to see what is the personality of the practice. You may seek reviews from others online, or ask friends for suggestions. Others go based on convenience factors like when the office is open, how easily you can schedule an appointment, and proximity to your home or office. Some factors may require a visit. If you’re planning on getting new eyeglasses, most offices allow you to walk in any time that they are open to browse their selection of frames, and even to speak with an optician about specialty products and upgrades. This also gives you an idea of their customer service, friendliness, and general feel of the office. Once you decide, you’re ready to make an appointment and get busy seeing your best!